Moomoo.io | Play Moomoo.io free on iogames.space! Build your farm to generate points. You must protect your farm from other players. Advance through the ages to unlock new items. 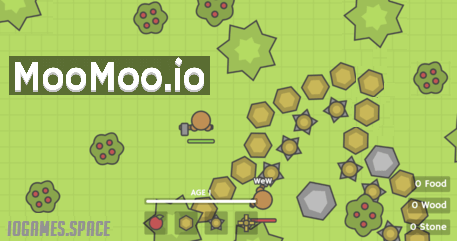 To gather resources in moo.io you have to hit trees, rocks and bushes. You can also attack other players. Once you have collected enough resources you can build buildings and items to generate points and protect your farm.